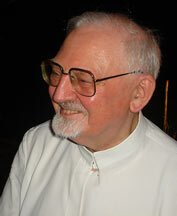 Peter-Hans Kolvenbach, SJ, was the 29th Superior General of the Society of Jesus, serving from 1983 to 2008. Kolvenbach was born in Druten, Netherlands, in 1928. He lived most of his teen years during the German occupation of the Netherlands. In an interview Kolvenbach later noted that experiencing war was not an uncommon experience in the formation of a Superior General. It was the experience of Ignatius at Pamplona, and the experience of his predecessor, Pedro Arrupe, who witnessed the dropping of the atomic bomb. Kolvenbach also lived in the midst of war in Beirut as a professor of linguistics and working with refugees in Lebanon. Kolvenbach spent many years in academic life, primarily teaching linguistics in Lebanon. He was named the Vice Provincial of the Near East, made up of the regions of Egypt, Lebanon, and Syria. In 1981 he was appointed as Rector at the Oriental Institute in Rome, a position he held until his election as Superior General. Upon his election, Kolvenbach carried out his responsibilities with energy and compassion. He visited as many Jesuit provinces and individual Jesuits as he could. 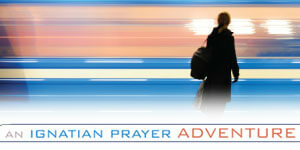 His was a calming presence in the midst of the many questions the Jesuits faced both within and outside the Church. In 1995 he directed the 34th General Congregation of the Jesuits, which addressed issues including the mission of the Society in the modern world and the impact of the revision of Canon Law. In February, 2006, Kolvenbach informed the members of the Society of Jesus of his intention, with the consent of Pope Benedict XVI, to step down in 2008. His resignation was accepted at the 35th General Congregation of the Society of Jesus. After his retirement, Kolvenbach returned to Beirut, serving as assistant librarian in his community. He died in 2016. Image by Fredericknoronha under Creative Commons license.